FITS: SEARS, POULAN, HUSQVARNA, RALLY. CRAFTSMAN RIDING MOWER/TRACTOR. MODEL NUMBERS ARE USUALLY FOUND UNDER THE SEAT OF YOUR MOWER. NEW!ULTRA COMFORT HIGH BACK SEAT. THE SEAT THAT YOU RECEIVE MAY BE GRAY. Part #586507601. MODEL NUMBERS ARE USUALLY FOUND UNDER THE SEAT OF YOUR MOWER. Deluxe Highback Seat. IF YOU ARE UNSURE OF THE PART NEEDED, OR NEED ASSISTANCE IN CHOOSING THE CORRECT PART. IN WHICH YOU RECEIVED IT. 5 out of 5 stars - NEW! CRAFTSMAN OEM RIDING MOWER SEAT- #586507601- POULAN HUSQVARNA AYP-FREE S&H! 3 product ratings3 product ratings - NEW! 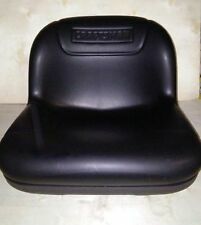 CRAFTSMAN OEM RIDING MOWER SEAT- #586507601- POULAN HUSQVARNA AYP-FREE S&H! Note: This is labeled for Ariens which is in the AYP family with Craftsman. It has an elastic shock cord in the bottom. The weather-protected fabric cover is coated for maximum water resistance and repellency. Fits tractor seat backrests 9.5" - 11"H without armrests. Fits seats on most tractor models without armrests. Craftsman Lawn tractor Seat. Black Vinyl Foam. Small bump/bubble on the front side of seat back see second pictures. New Ariens Lawn Mower Seat DOES NOT FIT ALL ARIENS MOWERS. Black in color with Logo. The local authorized dealer will perform a warranty inspection and submit their findings for claim approval and service. Craftsman / MTD Riding Mower Seat 757-04124 Nice Factory Seat Tractor. Came off a 2011 Yardman MTD. Great condition for a mower seat, and will work on many models. It bolted on with 1 bolt factory, it’s included. There are 2 other threaded holes for other configurations. It has minor scuffs and a few small discolored spots, it MAY just be dirty in those spots. NO TEARS. Measurements in pictures of bolt pattern. SEE PICTURES FOR THE BEST DESCRIPTION. Great seat. Condition is Used. Shipped with USPS Parcel Select Ground. Made by Milsco. Craftsman Seat Tractor Riding Lawn Mower High Back, this seat will also work on many Husqvarna and Cub Cadet lawn tractors. IF YOUR CURRENT SEAT HAS THE SEAT ADJUSTER ON THE RIGHT SIDE, THIS SEAT WILL NOT! Part Number 188706. Craftsman Seat Blowout. This seat switch (part number 401545) is for lawn tractors. Seat switch 401545 prevents the engine from starting or running if the driver leaves the seat. Wear work gloves to protect your hands when installing this part. REPLACES CRAFTSMAN # 401545. THIS IS THE REAL DEAL -- FITS MODELS MANUFACTURED BY CRAFTSMAN, HUSQVARNA, POULAN, POULAN PRO, RALLY, WESTERN AUTO AND MANY OTHERS. THERE'S NO DEAL LIKE A WILDCATS DEAL! Classic Accessories Deluxe Tractor Seat Cover, Small, Dk Grey with Black Trim Lawn Mower Covers Garden & Outdoor. It has an elastic shock cord in the bottom. The weather-protected fabric cover is coated for maximum water resistance and repellency. This cover protects new seats and renews old seats. Cushioned seat for extra comfort. Fabric resists mildew and won't shrink or stretch. Two convenient outside pockets keep tools and gear within reach. Small fits seats with backrest up to 12” high. Small fits seats with backrest up to 15” high. Storm-X fabric has a water-resistant backing for maximum strength, abrasion and weather protection. The tractor seat cover features a thick cushion providing extra comfort. Fits tractor seat backrests 9.5" - 11"H without armrests. Fits seats on most tractor models without armrests. Cushioned seat for extra comfort. We stand behind our products. Convenient back pockets keep tools and gear within reach. Classic Accessories Lawn Tractor Contoured Seat Cover, Small. Classic Accessories tractor seat covers protect new seats and make old ones look new again. Keep your seat in excellent condition for years with a lawn mower or tractor seat cover from Classic Accessories. 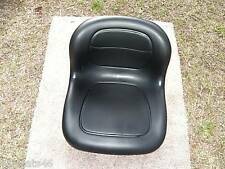 This is a used Craftsman / MTD Factory Riding Mower Seat # 757-04124. The seat is in nice condition, aside from minor scuffs and scrapes as pictured. Classic Accessories Deluxe Tractor Seat Cover, Small, Dk Grey with Black Trim. Fits tractor seat backrests 9.5" - 11"H without armrests. Fits seats on most tractor models without armrests. Cushioned seat for extra comfort. Convenient back pockets keep tools and gear within reach. Interior non-slip panels keep cover in place. Elastic shock cord in bottom hem for a quick and custom fit. Storm-X fabric with water-resistant backing for maximum strength, abrasion and weather protection. 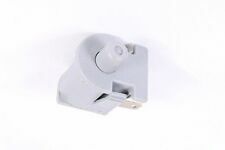 Fits Craftsman 917255520 127437 401042. Stay rugged, my friend. Let's work together to avoid this! We will need as much of the following as possible and where applicable Code and/or Serial Number. Craftsman LT1000 BATTERY BOX Under Seat Storage Tray John Deere MTD Riding Mower. Condition is Used. Shipped with USPS Priority Mail. AYP Craftsman Murray John Deere Riding Lawn Mower Tractor Mower Seat ???? I am not sure of the make or applications. Being sold as pictured. 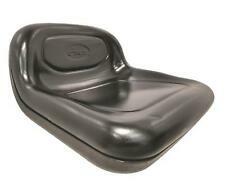 Product Details: Craftsman AYP riding mower seat pan 140552 155925 195530. 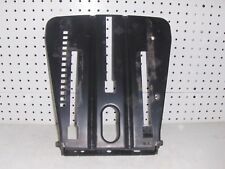 1- Craftsman AYP riding mower seat pan 140552 155925 195530 with pivot/mounting brackets. with pivot and mounting brackets and safety switch with pigtail. Craftsman II Ride-n-Mulch Tractor Information Complete tractor is not available for sale. Local pickup is available. Engine - Tecumseh 143.941000 3214D (Tecumseh TVXL220) - 10HP. Serial # - Unknown. This is a pull from a Craftsman LTS2000 lawn tractor. I'll make sure you get everything you need. I’m parting out the entire lawn tractor and mower deck. TRACTOR MODEL: 917.289272, SERIAL: 092410A014164. TRACTOR NOT INCLUDED BUT FOR REFERENCE ONLY . Craftsman II Ride-n-Mulch Mower Information Local pickup is available. Engine - Craftsman/Tecumseh 143.941000 - 10HP. Serial # - 13843457. Part Number: 164x17. These parts may be dusty, dirty, have surface rust, be scuffed or scratched. If a part number is noted, the item is sold by part number only. (Cub Cadet, Troy Bilt, Kohler, Briggs, Tecumseh, Polaris, Arctic Cat, Suzuki, Wheel Horse, Bolens, Mitsubishi Satoh, Murray, Stihl, Husqvarna, [Car parts: tons of classic Porsche 944 parts!] }. ). 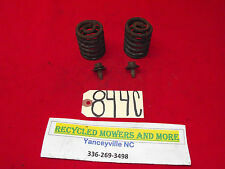 Pair of seat springs with mounting bolts off aCraftsman DLS 3500 20hp/46" riding mower. May fit other models. Craftsman Riding Lawn Mower DYT4000 Model # 917275901 Seat Springs 124181X. Condition is Used. Shipped with USPS First Class Package. Craftsman II Ride-n-Mulch Tractor Information Local pickup is available. Engine - Tecumseh 143.941000 3214D (Tecumseh TVXL220) - 10HP. Serial # - Unknown. Model 917 254940. In good shape with normal wear. All rust is only surface rust that can be cleaned. There is no rust through at all. This is very common on seats if they have a tear. Water gets below and stays down there. Used plastic seat trim for a sears craftsman ii. In good shape with normal wear. Model 917 254940.